Y Combinator alum Strikingly launched earlier this year with the mission of enabling people to build Web sites in just a few minutes. With the launch of its new one-click site builder, the startup has now reduced that time to seconds. Strikingly’s goal is to appeal to customers who want the legitimacy of their own site but have little or no coding and design experience. This entry was posted in News and tagged Facebook, Strikingly, Web Design and Development, Website, Y Combinator. King.com, the developers behind wildly popular game Candy Crush Saga, are back with with their latest game, Papa Pear Saga. 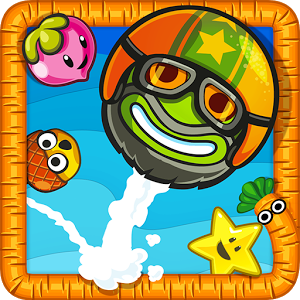 Dropping in the Google Play Store today, the game features more than 100 levels of bouncing and boinging action. Indeed, it works seamlessly with your Facebook account and features leaderboards, unlockable items, power ups, and more. This entry was posted in Android, APK's, News and tagged Candy Crush Saga, Facebook, Google Play, King.com, Papa Pear Saga. 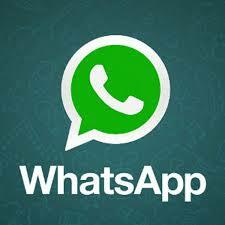 WhatsApp is widely used messaging service between the mobiles. It also allows users to share images, videos, music files also supports audio messaging. Users prefer WhatsApp over the other one due to its simplicity and instant messaging service. The problem that you cannot use more than one WhatsApp accounts on mobile. This entry was posted in Android, News and tagged Android, Chat, Facebook, Instant messaging, Multiple User, Operating system, Social network, Twitter, WhatsApp.